Last Tuesday I received an exciting package at my door. My complete 2016 Family Yearbook! This was the fastest turnaround of any book I have made (I'm usually a few years behind). I'm happy to say it is possible to keep up with documenting your family's memories. I would not have been able to do this without the Project Life App. You can read more about how I do that HERE. Here is a quick video tour of my 2016 Family Yearbook! You've made the pages in the app, now what? It's time to PRINT! 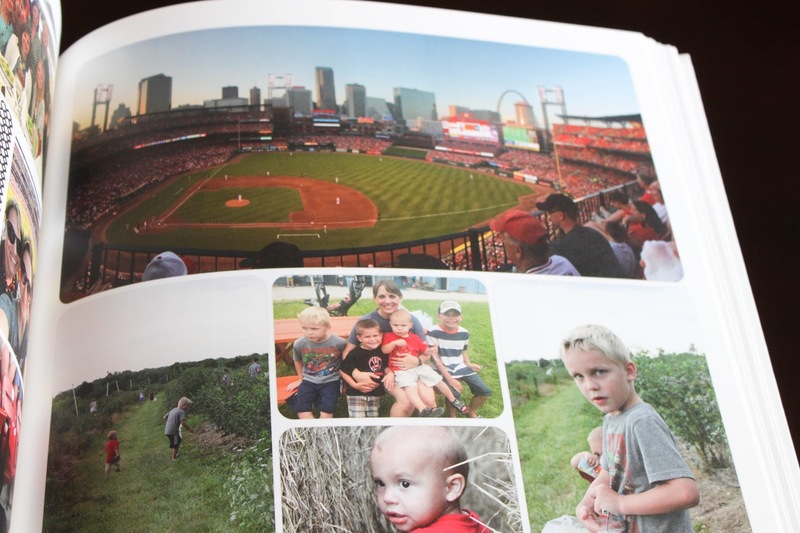 You can either print your pages out individually as 8"x 8" or 12"x 12," and then slide them into page protectors in a memory keeping binder or scrapbook. Or save them on your computer and print them in a book, which is what I do. I love this compact option and while its hard to wait to see the finished product until the year is over, it is highly worth it to me! Here are the steps you need to take to get from digital pages to printed product. Save. As you make your pages in the Project Life App make sure to save to Dropbox or Export them to your computer after you are done with each page. If your app is deleted your pages are not saved, so make sure to export. I've lost a few pages over time to little hands that accidentally delete my app from my phone (don't let it happen to you)! Upload. Upload to your favorite printing company. My favorite is Blurb. I have used them to print four books and have never been disappointed. Open a new project in Blurb and begin importing your page layouts from your computer. It is very user friendly and their customer service is great! 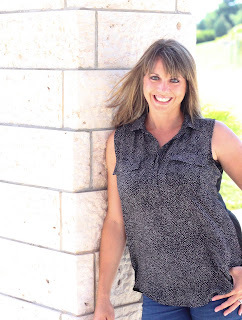 I have priced several printing companies around and Blurb wins every time, I have been a very satisfied customer.They run frequent promotions, so you can get your book all ready to go and wait for the next coupon code to come out, you won't be waiting long! Once you have download the book wright tool on your computer (for Blurb) you will then open a new book and begin making selections. Book size, cover option, page options, etc. You can save your pages in the app as an 8"x8" or a 12"x12." 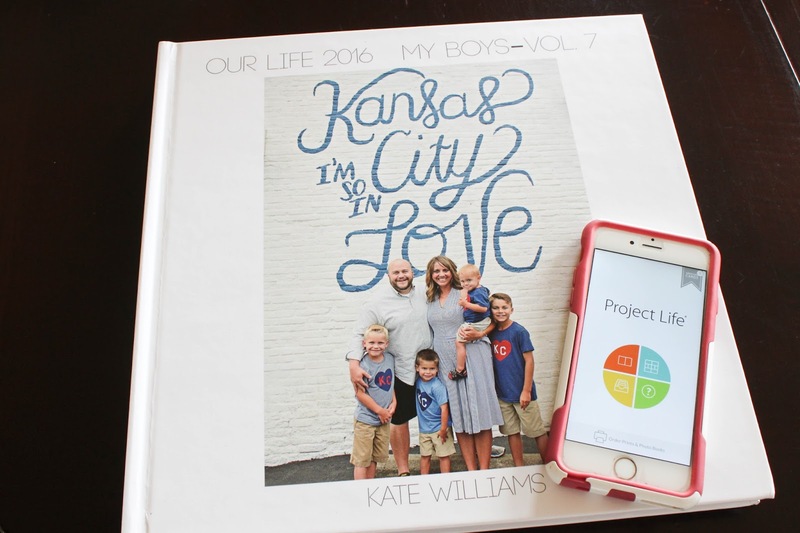 Since I have started using Project Life to document our family I have gone with the 12"x12" size and I love it. I choose the Image Wrap option for my cover, which means they print your cover art directly on the cover. This was also the first year that I upgraded my paper to the ProLine Uncoated Paper (a thick card stock paper). I really like the quality. My other three books were all the standard paper, which has stood the test of time too. I want to give you a few tips and tricks that I have learned along the way. 1. Make sure that you check the cut off grid of your pages. You can turn this on to make sure you see where the safe zone is. I learned this the hard way in my 2012 book. I imported all my pages into Blurb and sent it off to be printed. When I received my book all the pages were slightly cut off on the sides. 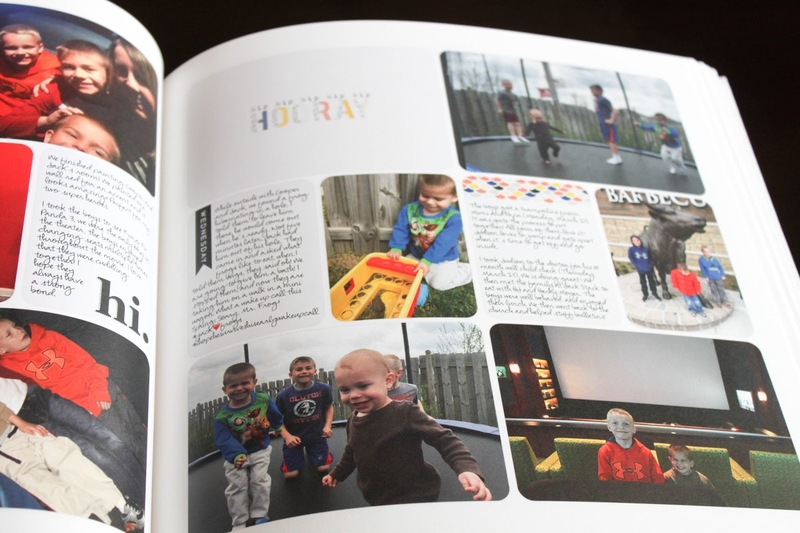 It pained me after the many hours I had spent creating the book over the year. Make sure you add a buffer around the edge (if using lightroom). Or, you can easily adjust it right in the blurb layout of each page. This is an important step! 2. Make sure you read over any journaling on each page before you export it to dropbox or your computer. It is much easier to fix any errors now, then to go back later. Include a fun panoramic photo in your book! 3. The most important thing is to get your memories documented and printed. Whether they are from 20 years ago or 2 months ago. 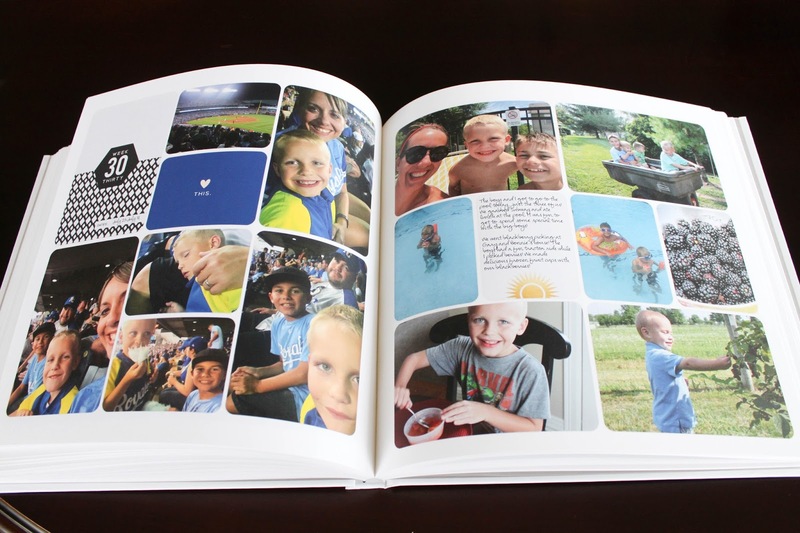 You don't have to have a lot of journaling, a page full of pictures is just as special. Having those precious memories in hand is the most important thing. 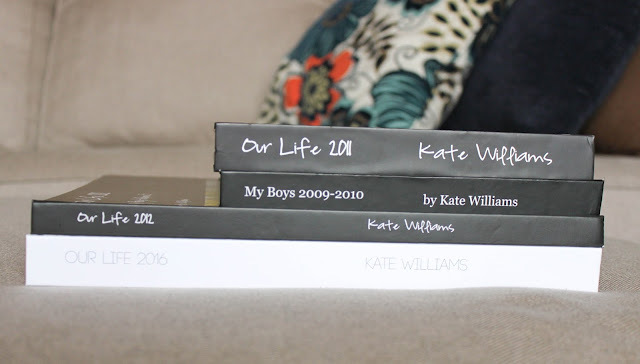 One of the things that I have loved even more than looking through these books myself is watching my boys' faces as they flip though and study each page. That has been priceless! 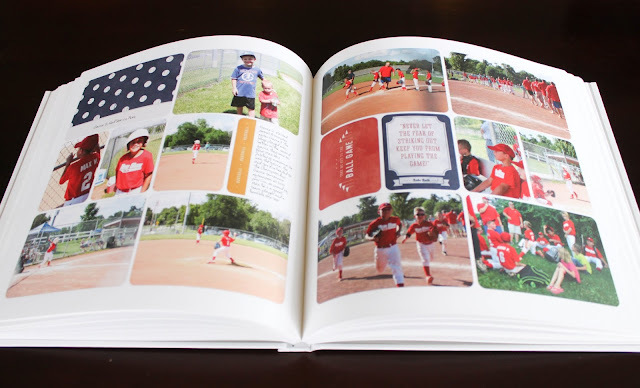 How do you document and preserve your family memories? I would love to hear! If you have any questions about Project Life or printing a book, I would be happy to answer those below. Now, go make some memories!